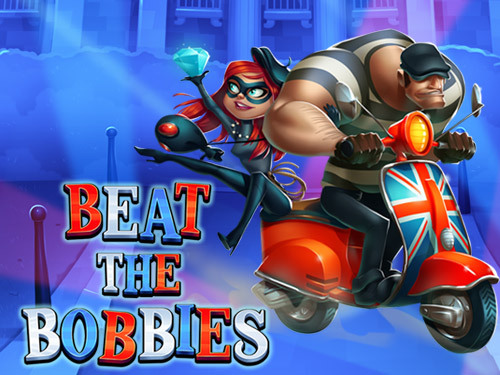 Welcome to the EasySlots.com casino platform, play Beat the Bobbies a wonderful 5 reel slot game where you play the part of the criminal robber and must take on the police aka, the bobbies to earn yourself a whole range of significant cash rewards and free spins. Founded in 1997, Eyecon quickly made the change to online slot casino gaming in 1999. Quickly building a loyal audience after the success of their first game Temple of Isis, Eyecon have now went on to create over 60 unique and intricate games. With a game for everyone, have accumulated a fan base that have now lifted their yearly spin count to surpassing 6billion, with figures like that I am sure you will be seeing more of this Australian developer in the recent years to come. Find out more about some of the other great gaming choices and developers available at Easy Slots, spin the wheel today! Are you ready to go down in history along with the biggest heist Britain has ever seen? In this game, the aim is to join Stacey in evading the British Bobbies (Police), local Postman and even the Royal Butler as you both attempt to steal the infamous crown jewels. 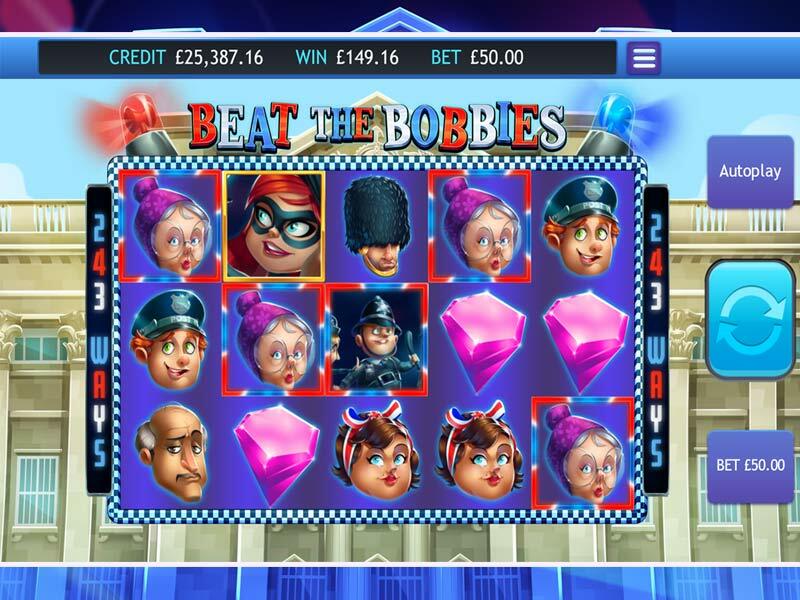 Beat the Bobbies is an entertainment filled machine, following the 5-reel format players have over 240 ways to win in this one machine alone. Complete with a range of bonuses, this game could see you beginning a life of crime. Whilst the 5 reels turn, players can expect to find many characters along the way. Each symbol has its own designated payout attached to it, simply connect 3 or more of the same symbol in a row for a chance to win huge cash prizes. To learn the potential behind each symbol, simply head to the pay table by selecting the menu icon in the top right-hand corner. Once familiar with the potential pay outs available players should begin by setting their initial bet. With a generous betting range of 0.50 to 50.00 per spin, players have every chance to customise the game to their own comfort level. But remember, the amount winnable is aligned with the amount staked, the higher the risk the higher the reward. Easy slots promotions no deposit spins are awesome! During the game players will come across several bonus features, the first being the Wild symbol. Represented by the Bobbies themselves the Wild can act as a replacement for any other none-bonus symbol. This allows players a much higher chance at achieving a winning payline – resulting in the Bobbies helping you out on this heist. Appearing on the centre 3 reels, do not shy away from a Bobby should they appear. The next available bonus is the Scatter, represented by Stacey players should aim to locate 3 or more of these symbols within the reel at any one time. This bonus will then trigger a set of Free Spins, directly linked to the number of Scatters found, with each round obtaining an additional mystery multiplier. These spins can then be retriggered for a maximum of 15 total Free Spin rounds so Stacy could continue to bring the wins in.